(updated in Apr 2019) Is your mum, grandma, wife, sister, aunt, female friend or lady boss celebrating her 60th birthday soon? 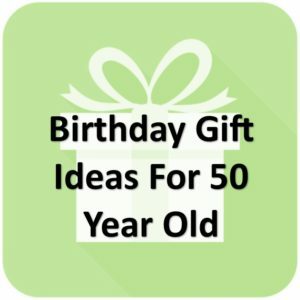 An extensive list of gift ideas for women turning 60! What is an excellent birthday gift idea for a 60 year old woman? Buy a gift that she can relate to. It can be a present that is related to her hobby, personality or interest. 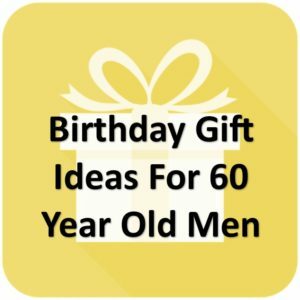 Whether the gift is thoughtful, unique, funny, cool, handmade or personalized, when you present to her at the 60th birthday party, it has to make her feel special. Having live to this age, it is time for her to enjoy the little things in life. 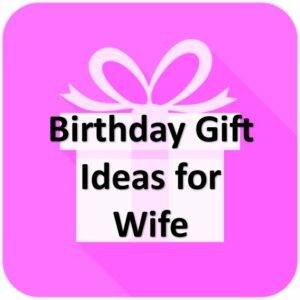 Our complete gift guide lets you explore various ideas and prices to ensure that you can find relevant presents for her 60th birthday. 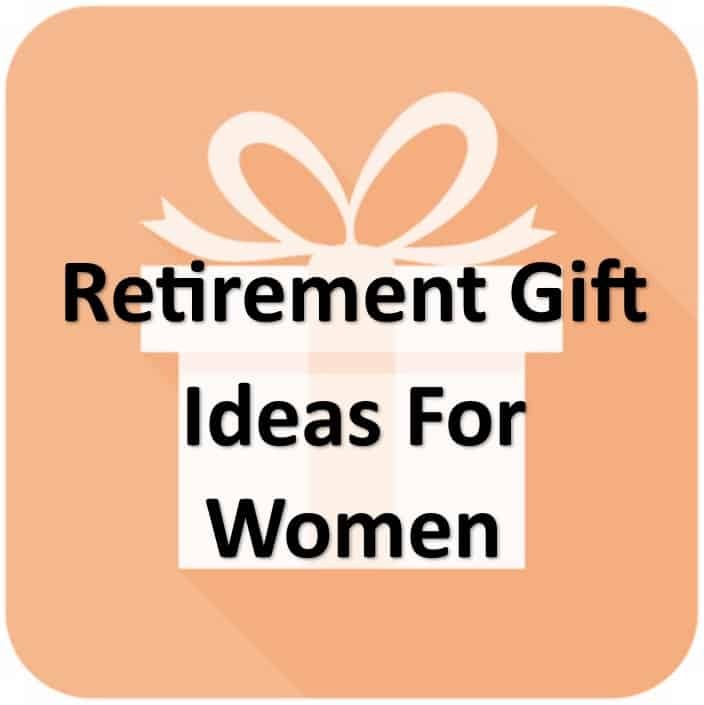 You can also find related gifts on our page on the best gifts for retiring females here. Nothing speaks better with experience than the perfect photo album to house pictures. An excellent DIY handmade birthday gift, this handcrafted photo album is ideal for your mum, grandmother, sister and best friend as she can easily hang-up all moments you have captured all thanks to a great design and finish. A special and novelty birthday gift for your mom, it is created based on the lady’s name and birthdate. It may sound like as if a book is entirely written about her. You can also personalized the cover and add more customized lines inside to make it truly unique. What way to make the sixty year old feel loved than the perfect birthday card containing sweet words to start the day? This card offers something extra in terms of design with a bamboo finish ensuring it remains in great condition over time. An excellent handmade gift for her. If she is someone who enjoys having some wine regularly, why not consider a giveaway consisting of a wine membership. 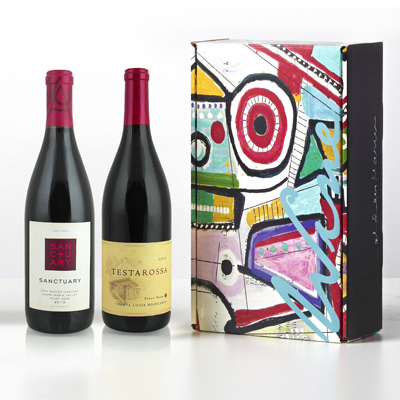 Choose among the different wines like Pinot Noir and Shiraz. An especially thoughtful gift for a birthday lady who is a wine lover, this is a best option if you already know her taste. The perfect practical gift for any female worker or your mother in law, this pillow offers her the best means to ease off the stress after hectic days at work. This gift not only makes her relax but also allows her the option to heat her neck on cold days. What better way to celebrate 60 than the perfect funny description of aging like fine wine! This useful gag gift not only tells that special woman you that watched her journey and fully accept who she is but would also strike a positive impression in her memory. Women and gold make the best of a couple and this is what can light a woman’s birthday! Consider buying a pair of real gold dipped orchid for your loved one like your grandma or wife. These are just going to top the list of her favorite and most unique birthday gift ever received. For a lady who loves candles, this personalized candle is definitely a great addition to her collection. With choice of ink colour, the “Happy Birthday” message adorned with festive design is printed on the candle, bringing happiness to the recipient at the party venue. Her name and birthdate printed on this candle adds a personal touch to this gift and the ribbon (with colour of your choice) completes this unique 60th birthday gift ideas for her. With a choice of style of Name Frames including color, you will be able to customise her Architectural Photo Frame to her taste. Using color photos of architectural letters to display her name makes a wonderful home or bedroom décor. If she prefers inspiring words, you may choose to display words like Faith, Hope and Love instead. Definitely an awesome 60th birthday gift idea for mom from daughter. Still considering what to get for her birthday? Remember this: Women love accessories and jewelry including earrings, necklace, bracelet. Presenting her with this jewelry box, which you get to print her name on the hinged lid to personalise this gift, is a perfect birthday gift for your 60th year old mother in law. With 10 compartments and removable display cushions, she has the flexibility on how to keep her jewelry organized. At age of 60, she is probably nearing the age of retiring. Why not help her discover new activities and hobbies that she will enjoy? Having her own homemade scented candles is probably a great way to learn new things. This starter kit has all that she need to make her very own candles. With amazing scent, this is one of the best creative and novelty gift that she can DIY. Although there are going to be a number of cakes served on the table but the one that has a combination of several tasty treats will have its own worth. Consider bringing a tasty mini birthday cake and chocolate dipped cheesecake bites as her present. What’s more, there is also the classic berries that have been dipped with chocolate, making it one of the best items to bring to a 60 year old birthday party! The travel lover perfect sidekick. This scrapbook is a great gift for your mother in law or sister with its lightweight structure and picture – sheet per view approach leaving her to be creative as she sees fit. This homemade personalized book is one of the best birthday gift idea for the 60 year old woman! If the lady is a candy fanatic, then look no further. This is the perfect gift to celebrate her 60th birthday to make her feel young again with the foray of candy flavors available. Most these candies were widely available during her growing up years. Watch her eat then and experience her give that smile that comes with the excitement. An excellent birthday gift for women who has everything from their grandkids. This vintage whiskey glass is an inexpensive gift for any lady who loves her drink. With the funny words “Aged To Perfection” symbolizing her anniversary or birthday celebration and great build quality, she is certain to have you in mind whenever she uses it due to its long-lasting ability. This is a perfect gift for a female retiree too. This premium Echo Plus is a great companion to gift to any woman who loves her music and much more. With its lightweight and compact structure, she can easily carry it anywhere she pleases. Pair up with the various home devices and she has a smart high tech device. 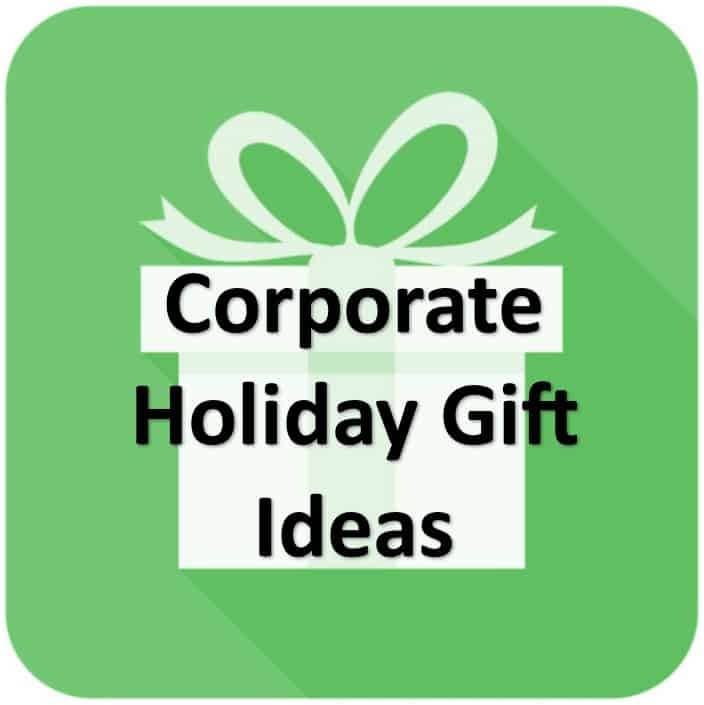 A practical and sophisticated birthday gift idea for your 60th year old lady boss or mom. A self-written book is in fact the most precious thing that you can gift to anyone. An ideal birthday gift for a 60 year old lady who has everything, various thought provoking topics like “What period of your life did you enjoy the most?” will make this book full of special details that her future generations will learn to treasure. If you are looking for the perfect pearl set to gift your wife on her birthday, then you should consider this great jewelry set which consists of a necklace, bracelet, and earrings. After all “The pearl is the queen of gems and the gem of queens.” An excellent present for your wife too. This handmade flower teacup is a great gift to your sister or aunt all thanks to its elegant structure. The cup offers her the view of roses, and with a spoon included which comes with the same design, this product is the perfect gift to any tea lover and also a gift that you can bring to a woman’s housewarming party. The usual gift is to have in a flower vase stand, patio or in any souvenir stand. But this engraved stone would not only stand the test of time. Its pebble shape and heartfelt words would resonate well with any woman like your mum or grandma with this keepsake and creative birthday gift. Certainly an unusual sixtieth birthday present idea for her. Looking good and feeling fine celebrating with a glass of wine. These meaningful words too attribute to reaching 60 years. This top is especially great for a woman as it describes how the occasion should go when clocking 60. Regardless of the birthday party theme, make her wear it during the party to bring laughter around! This 3-in-1 gift is great for your loved one as it comes with a card containing meaningful words to show your affection towards her. Whether is for someone in your family or at work, she will be pleased to know that the package also includes a bracelet and a gift box to complete this thoughtful present. Taking care of a bonsai at home has several health benefits. For a lady turning 60 which is also the time to consider retirement, doing something that is useful is always a good idea. This complete Bonsai gift package consists of seeds, soil, planting pots and growing guide. An unusual but special birthday gift idea for her indeed. This is a great special housewarming gift idea too. Presenting the 60 year old mum with this tea box helps her keep her teabags organized, making this a practical birthday gift. In addition, she gets to see her tea collection from the see through lid, making it a fantastic kitchen décor. With your choice two lines customized specially for her, inscribed on the lid makes this a gift specially for her. Cosying up in the living room at the sofa or in the bedroom) with a nice warm blanket while watching TV, reading a book or enjoying coffee is a luxury of bliss. This is especially so for a sixty year old grandma of leisure or homebody. This Sherpa lined microfleece blanket, with a choice of color, including the thread to sew her name or initial, is a warm and inviting gift idea for her. At the birthday party, surprise her with these special birthday cake. These chocolate brownie cupcakes are beautifully decorated with colorful frosting and rainbow sprinkles. To make the gift more cool, each cupcake comes with only individual candles to make her feel young! This is truly a unique 60th birthday gift idea for her food at the party. Women of all ages love flowers. Whether is a gift for your female co worker or lady boss, combining flowers and her birthstone colors is a classic traditional 60th birthday gift which shows your love and thoughtfulness. 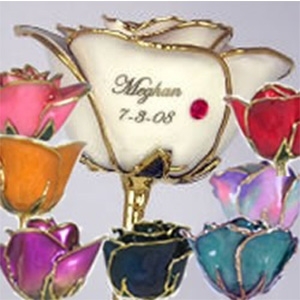 Best of all, these birthday real roses, preserved with enamel will never wilt, making it a permanent décor at her bedroom or living room. 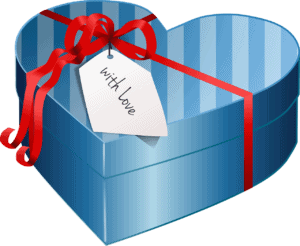 The gift come in attractive gift boxes, saving you time to gift wrap. It also includes Certificate of Authenticity. Do you know any girl who can resist a Teddy Bear? Well, not actually. In celebration of the theme of the birthday party, this is certainly a great gift to make the sixty year old woman feel young again! 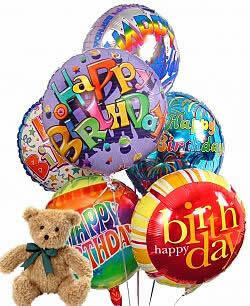 Let’s add some more to the gift box – a few birthday balloons that are heart shaped, pink and red in color? This is what every girl wants on her birthday. We all know that one of the most beautiful fact to know is that someone has kept your old picture to show you someday or on your birthday. For this special occasion, you can consider the idea of making a keepsake box that should display the 60th birthday girl then and now photo. A wonderful gift for a woman who has everything. You can consider a customized morse code necklace with a message that only both of you will understand. Jewels are always a reliable choice when it comes to gifting a girl! The customization shall prove that how much do you actually care when it is about a loved one’s special day, making this an excellent gift idea for your wife turning 60. An affordable birthday gift that is thoughtful. A glass jar with air tight lid that is personalized with the year that she was born in. Fill it with her favorite snack like colorful gummies or candies. The word “Vintage” is meaningful as she celebrate her milestone 60th birthday. This inexpensive present is great for your aunt or female co-worker. There are two types of women – one who don’t like to cook and the second who love to cook! If the female retiree turning sixty is the one who loves to cook, a ceramic casserole baking dish is the perfect gift to buy her on her special day. A good gift for your mother in law or female friend. This book of rhymes not only offers you the bond that comes with offering gifts to your partner during their birthday but is also great to gift to that special woman with it pointing out you want her to grow old with you. A funny gift for your wife or best friend.